Product Details - Material- Non-toxic rubber and Rope, Use -The toy is gentle on the teeth and is a great chew toy, It gently massages the gums and takes care of the dental health, Dimensions- 42 cm, Suitable- All Breeds Dogs. Product Information - Rope Loop - Rubber Tyre This interactive dog toy is made with strong rope and rubber in the shape of a rocket. This toy will provide hours of fun. Multiple textures massage gums and keeps dogs interest. 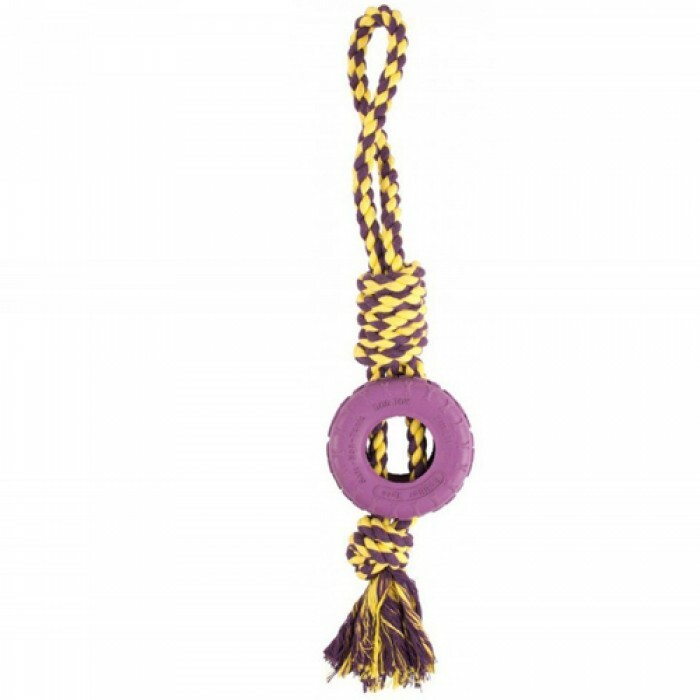 Can be used for playing tug of war games.Strong rubber ball.This toy has a great swing and toss action,Comes with rope.